Ash solids and quartered ash veneers. Heather Gray and Pale Ivory finishes, all exterior wood surfaces in Heather Gray finish. Steel frame in Radiant Nickel finish. 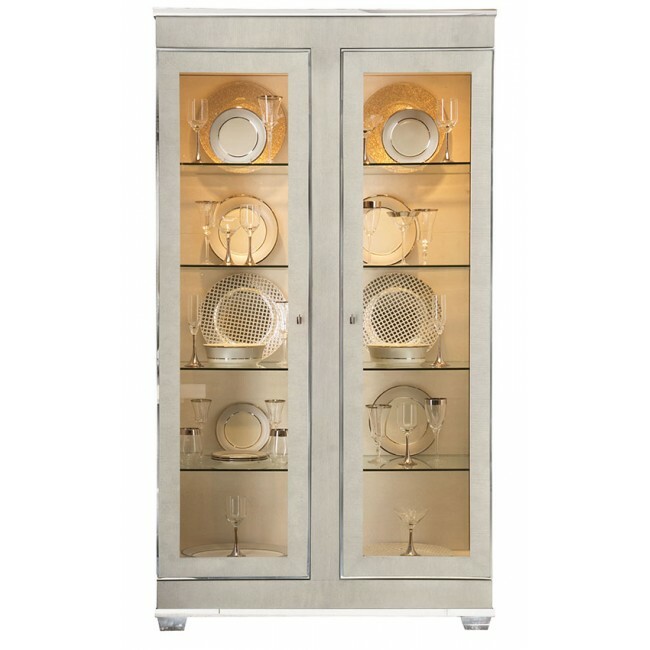 Two doors with tempered, non-beveled inset glass, behind each door are four adjustable/removable, tempered glass shelves with polished edge and plate groove. Two halogen lights with dimmer switch.